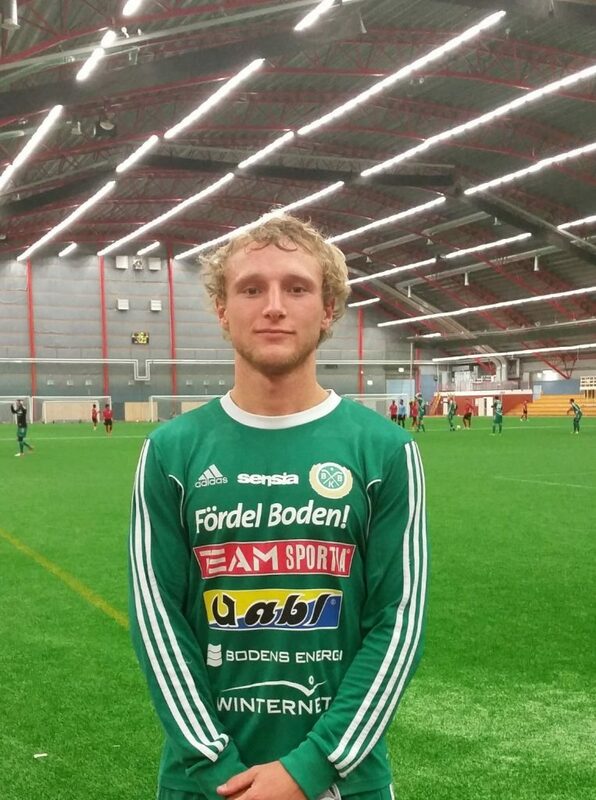 PSC are proud to announce the signing of outside back Chase Miller to Bodens BK after Director of Football Christian Samuelsson observed and evaluated the 22 year old at PSC’s 2014 summer showcase tour to Sweden. Miller becomes the 5th PSC player Bodens have signed in the last 2 years and will link up with the squad this week after impressing during his week long trial by personal invite from Samuelsson. The George Mason University (GMU) standout will line up along fellow PSC representatives Gino Mauro (Centre back) and Eddy Prugh (Centre mid) as Bodens push for promotion out of Division two this year. Miller was first seen by Samuelsson after he coached PSC’s showcase team in Sweden and Finland during the summer of 2014. At the time Bodens were not looking for an outside back but once their current full back left the side at the end of last season Samuelsson contacted PSC to find out about Miller’s availability. The 22 year old was still available and was invited in for pre-season with the club in the North of Sweden. Prior to the trial Miller had not played full field soccer in a good few months and was invited with PSC’s showcase squad to Ireland in order to regain fitness before joining up with Bodens. Whilst in Ireland Miller played 2 fixtures including a game against UEFA Europa League competitors Shamrock Rovers. PSC look forward to following Bodens progress this season and expect all three PSC players to make an impact this year. We caught up with Chase after he had put pen to paper to find out his thoughts on signing his first professional contract. Firstly, congratulations Chase! How does it feel to have signed your first professional contract? I feel excited about the opportunity I have with Bodens. It’s been a year since I’ve graduated college and the process of becoming a professional player is tough. I am thankful for Bodens and PSC giving me this opportunity. I am confident about my abilities and feel that the trial is going well so far. It’s been 9 months since we first met you at our San Diego combine in July. Tell us how you went from the combine in July to signing with Bodens in Sweden even though they weren’t at the combine? My first contact with PSC was this past summer (July, 2014) when I attended a combine in San Diego. I was invited on the Sweden/Finland tour based on my performance at the combine. I saw this as a great opportunity to play overseas. 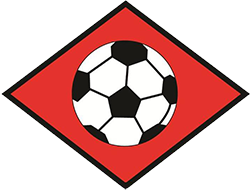 I had no tryouts and minimal interest from teams in the US coming out of college so I gave it a shot. During my time in Sweden/Finland I was noticed by Bodens Sporting Director. He kept in contact with PSC following the tour and eventually brought me in for this trial during their preseason. PSC was grateful enough to allow me to train with their Ireland Tour as preparation for this tryout. I wouldn’t feel as fit and prepared as I am without their help. What is it you are looking forward to most about beginning your career in Europe? There are many aspects of European soccer that excite me. First off, its beautiful here. Although commonly mistaken for the North Pole, Boden is a beautiful town with great history. Additionally, the style of soccer is different than in the US. As a smaller, less physical defender, my strengths are with the ball and my processing of the game. Unfortunately, I feel that many coaches in the US overlook ability and a player’s concept of the game and tend to focus on physical characteristics more. With that said, it appears to me that the European coaches focus on the technical, tactical and analytical parts of the game more, which suits my style. A final reason for playing in Europe is the development and structure of the sport. In the US there are only the three professional leagues. In Europe, the possibilities are endless. It’s just a matter of getting in the door. Is there anyone you would like to thank for their efforts/support etc in getting you to where you are now? If I could thank everyone who helped me get to where I am now I would still be writing. Of course, my family and friends have always been supportive of me and have always believed in me. I am thankful for their confidence and belief in me. My teammates at George Mason always brought their best to practice and always made each pickup, training or game meaningful. I wouldn’t be the player I am today without their commitment. PSC obviously helped me get to this point in my life. Without their connections and credibility as an agency I wouldn’t have had this opportunity. Do you have any advice for other players looking to make it pro? As far as advice I could give to other players aspiring to become professionals, it’s really all about self-belief and your love for the game. My journey to where I am now has not been easy, but I never lost hope or faith in myself. Anytime I play soccer, whether its kicking the ball in the back yard with my dog or playing in front of thousands of fans, I love the game. What are your goals now as you look to progress? Aside from signing my first professional contract, I really don’t know what to expect from my career. I am taking each day at a time and enjoying this game that I love. It would be great to move up in Sweden individually or collectively through promotion, but for now, my focus is on playing for Bodens and giving everything I have to the club. How did you come into contact with us here at PSC? I first came into contact with PSC through a former teammate at George Mason, Taylor Morgan. He attended a Showcase Tour with PSC and ended up signing in Sweden. He thought I had the ability to play in Sweden and recommended attending a tryout with PSC to get overseas. How was the experience of a PSC combine for you? Before attending PSC’s combine, I attended 2-3 other combines throughout the US that weren’t very organized or credible. I didn’t feel that they truly cared about the players attending the combine and instead already had their favorites based on previous accolades. PSC had a fair and open-minded appreciation towards their players. They gave each player a chance to prove themselves. Additionally, I knew that PSC had connections with various European clubs so that was a big factor in deciding to attend their combine. And what about the tour itself in Sweden? The combines and showcases I attended were professionally oriented in terms of opposition and coaching staff. The PSC staff is a highly credible group with unlimited connections. The opposition during our tours was fantastic. Playing against top teams in Sweden, Finland and Ireland is an opportunity many just dream about. Would you recommend PSC events to other players looking to sign a pro contract? I would recommend attending the PSC combines. Of the 3 combines I attended with different companies they were definitely the most organized and professionally constructed. PSC doesn’t just let you play without feedback or advice. They have professional coaches in attendance at the combines to coach you collectively and individually to become a better player, which is any players main goal. Thanks Chase, all the best in Sweden this year!